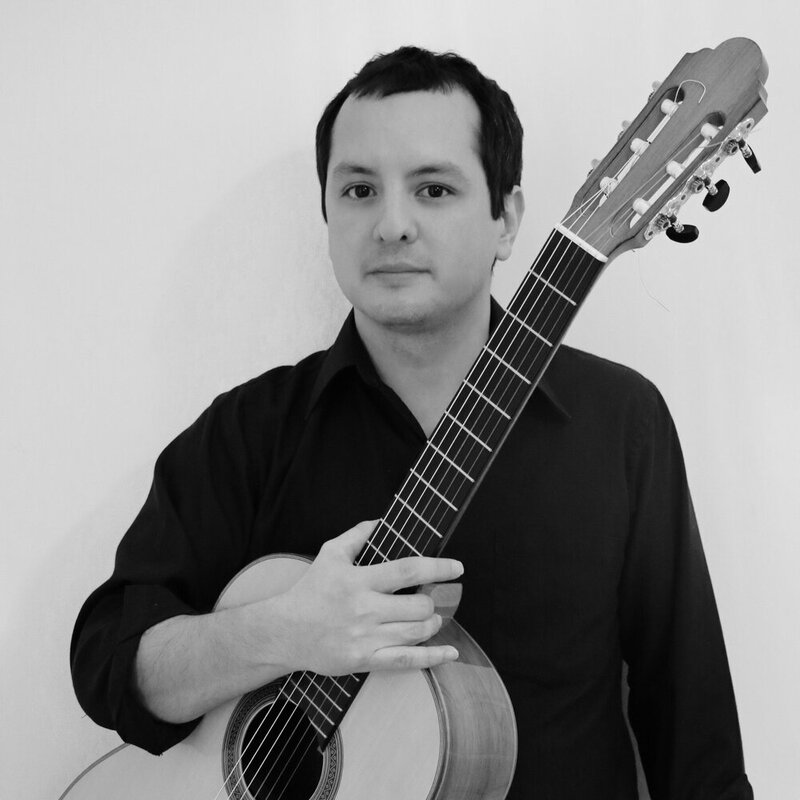 Mexican guitarist Christian Lozano obtained his performance degree at the National Institute of Fine Arts in Mexico City’s Escuela Superior de Música with Leticia Alba. He then continued his studies with guitarist Juan Carlos Laguna. In 2006 he pursued his studies in Switzerland with guitarist Pablo Marquez at the Musik Akademie Basel where he obtained the Konzertdiplom as well as a Masters in Music Pedagogy. During his studies he was granted the prestigious “Swiss Government Excellence Scholarship”. Christian has participated in masterclasses and courses in early music, improvisation and contemporary music with renowned teachers such as Abel Carlevaro, Paul Galbraith, Stephan Schmidt, Hopkinson Smith, Eduardo Fernández, Magnus Anderson, Fred Frith, Marco Battaglia, Pablo Gómez and Mariano Martin. He has performed in concert halls and festivals in Mexico, France, Germany, Switzerland and Paraguay. In 2006 he performed the Paraguayan premier of the famous Concierto del Sur by the Mexican composer Manuel M. Ponce with the Orquesta Sinfónica de Asunción. Currently based in Basel, Switzerland, he regularly performs as a soloist and with numerous chamber music ensembles. Alongside the classical guitar repertoire Christian Lozano has a special interest in the music from the 20th and 21st centuries. Christian is also a professor at the Musik Akademie Basel.